In December of 2015, Crystal Cruises marked a major milestone back in the history of the company by taking delivery of its third ship – and first addition to the fleet in over a decade. Although not a new ship, the adventurous Crystal Esprit underwent a stem-to-stern refurbishment that has made the ship, originally constructed in 1991, into a completely new vessel. “To say today is a special day is an understatement,” said Edie Rodriguez, Crystal’s president and CEO during the christening ceremonies for Crystal Esprit. “Since joining Crystal just over two years ago, a personal goal of mine has been to see Crystal realize the next step in continuing to pioneer luxury travel and hospitality; and today I am seeing that dream fulfilled.” She went on to personally thank Genting Hong Kong Chairman and CEO, Tan Sri Lim Kok Thay, for his and his company’s support of her vision for Crystal’s future. 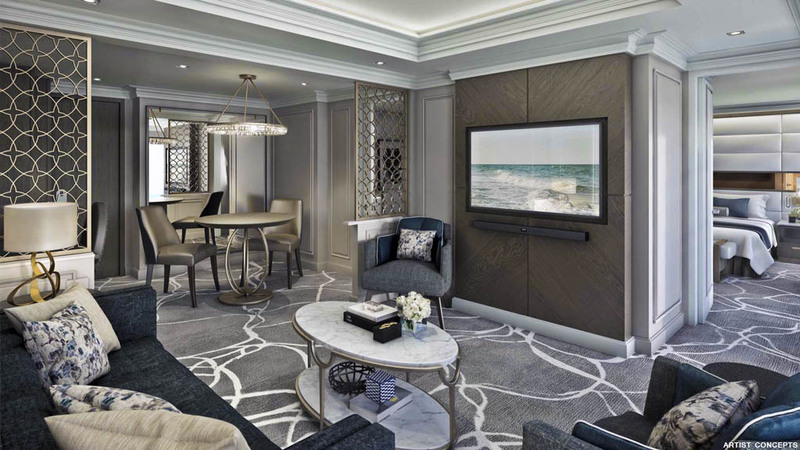 The introduction of Crystal Esprit marked the start of an aggressive expansion program that includes a brand-new river cruise operations arm that will encompass five luxury river cruise ships scheduled to debut between now and 2017. Crystal will also build new oceangoing ships that serve a dual cruising and expedition role, and they’ll even outfit their own Boeing 777-200LR and 787 Dreamliner aircraft in an all-business class layout to whisk guests on multi-week journeys that regular scheduled airline service can’t match. Crystal Esprit is just one key element in an expansion plan loaded with exciting changes. 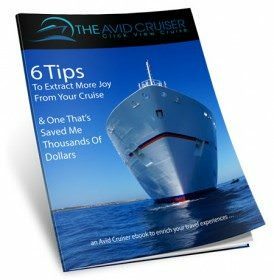 Want Help With Your Crystal Cruise? A rendering of the spacious Owner’s Suite aboard Crystal Esprit. Illustration courtesy of Crystal Cruises. Crystal Esprit carries just 62 guests in 31 suites, all of which are at least 223 square feet in size. The vast majority of suites onboard the ship – the 28 Yacht Suites – clock in at 280 square feet, while a single Category OS Owner’s Suite on Deck 2 will provide a roomy 515 square feet of space; a size unheard of on most expedition ships. When sailing aboard Crystal Espirt, guests are invited to expand their culinary tastes in a variety of venues. For a ship of this size, Crystal Esprit offers more dining venues than you might think, with four distinct options. Room service is also available for those who want to truly kick back and relax. 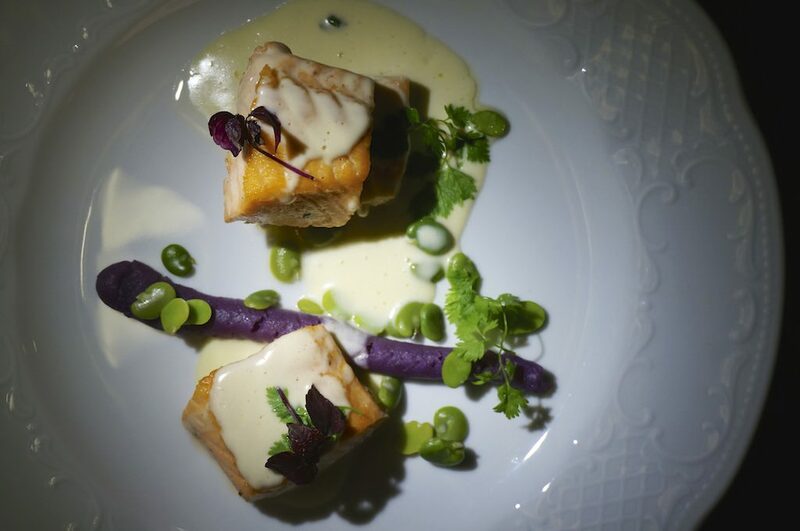 The Yacht ClubRestaurant serves contemporary and classic specialties as well as innovative tasting menus created by Crystal’s award-winning chefs, all using the finest and freshest local ingredients available; serving breakfast, lunch and dinner. The Grill features a menu of burgers, wraps and, location permitting, “global street food” served tapas-style to reflect the destinations visited. The Pantry is the “go-to” self-service bistro and wine bar open 24 hours a day with a curated selection of coffees, vintage wines, light snacks and freshly baked pastries; the perfect indulgence to satisfy your craving day or night. Crystal Esprit also boasts some decidedly unique amenities. To start with, the ship boasts a gym with state-of-the-art “Technogym: fitness equipment; an outdoor pool; a fold-out marina and watersports platform with complimentary equipment for guests to use – including water skis, wake boards, jet skis, kayaks and snorkeling equipment. For increased touring options ashore, Crystal Esprit carries two of her very own 10-passenger Zodiac rafts. 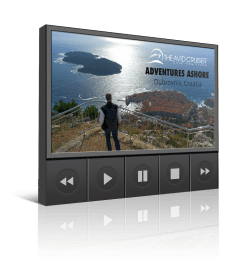 These allow Crystal to offer expedition-style itineraries in which guests are whisked ashore via these nimble watercraft to ports and attractions that would otherwise remain inaccessible. For those who like to remain active even in tourist-friendly ports of call, complimentary bicycles are available onboard Crystal Esprit for personal touring ashore. 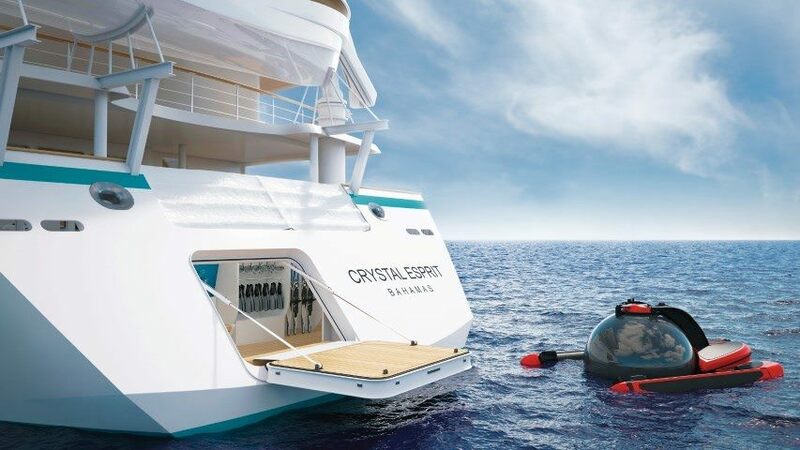 If that’s not cool enough, you might want to go for a ride in Crystal Esprit’s very own submersible, which holds three guests and one crew member, and can descend to a depth of 1,000 feet below the surface. 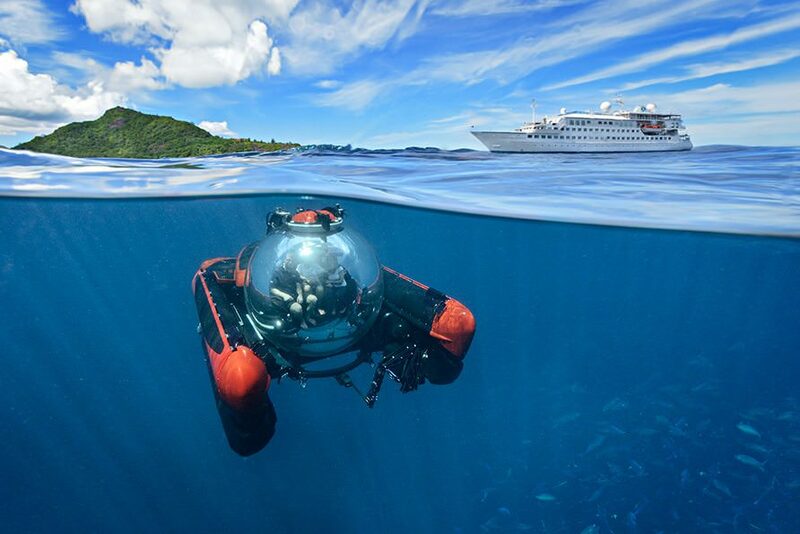 Crystal plans to offer guests 30-minute underwater tours on the submersible. Complimentary, no less. Crystal Esprit has no passenger elevators. Guests should be able to negotiate stairs.